73rd session of the UN General assembly will open on 18 September. The General-Debate will start from 25 September 2018 and end on 1 October 2018. General Assembly is a conference of states and it holds an eminent position among the organs of the UN. It is world’s most important political discussion forum and can discuss any questions or matters within the scope of article 10 UN Charter. 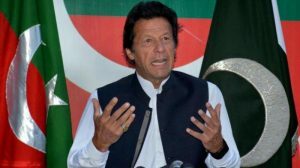 There is a general debate in Pakistan as to whether, Prime Minister Imran Khan should attend the General Assembly session or not. The argument that Prime Minister would do better at home is a misleading argument. Prime Minister of Pakistan would be an equal to any other Head of The State at the General Assembly. He has an early opportunity to exercise this equality and equity at the UN. It is wise to be represented at the Prime Minister’s level at the United Nations. His attendance would generate a stir in the protocol system and encourage many other nations to sit through to listen to the Prime Minister of Pakistan, who came with an Idea of ‘change’. Attendance at a reduced level and in this case by the Foreign Minister of Pakistan, would generate a different level of protocol and it would reduce the interest in the member nations. Whether Indian Prime Minister attends or is substituted by someone, should not determine the judgement of Islamic Republic of Pakistan. Pakistan has to re-emerge on the international stage and this opportunity would not be available until September 2019. Those who are advising Prime Minister not to attend the General assembly Session may be driven by a false and superficial sense of ‘national prejudice’. The ‘no’ school should study the 175 item agenda, before they push the quality of their advice. Pakistan has an immediate interest in items, namely, “Right of peoples to self – determination”, “Promotion and protection of human rights” and “The responsibility to protect and the prevention of genocide, war crimes, ethnic cleansing and crimes against humanity”. On 17 August 2018 small countries (but equal at the General assembly) like Afghanistan have used rule 14 of the rules of procedure of the General Assembly, and along with Denmark, Guatemala, Japan, the Netherlands, Romania, Rwanda, Ukraine and Uruguay, have requested the inclusion in the agenda of the seventy – third session of the General Assembly of a supplementary item entitled “ The responsibility to protect and the prevention of genocide, war crimes, ethnic cleansing and crimes against humanity ”. Ukraine has also proposed the consideration of “The situation in the temporarily occupied territories of Ukraine”, and China has proposed the item on giving “Observer status for the Asian Infrastructure Investment Bank in the General Assembly”. These countries have used rule 14 to enhance the scope of the main statements that they will be making at the General Assembly. Signatories on the letter have used the mechanism for having the item referred to the plenary of the Assembly and have used rule 20 of the rules of procedure of the General Assembly and attached an explanatory memorandum. We should not be discouraging Prime Minister of Pakistan from attending the General Assembly session and making the equitous use of the world platform. It is an annual event and we need to scan the 175 items of the agenda and further see whether we have used the rules of procedure to our maximum benefit. I am not sure whether Pakistan has used rule 14 for the inclusion of any supplementary item or not and rule 20 to maximise the scope of its submission. Under the present circumstances Pakistan has an opportunity to use the second item titled “The responsibility to protect and the prevention of genocide, war crimes, ethnic cleansing and crimes against humanity ”, from the list of four supplementary items and flag the low intensity war waged by India against the people of Kashmir. Pakistan has taken upon to represent the people of Kashmir in their struggle for self-determination. As a party to the dispute and as a member nation of United Nations, it has to find effective means to broaden the constituency of support for Kashmir. It could pin down India through a skilled diplomacy at the General Assembly and one of the demands could be asking the UN General Assembly to give an Observer Status to the liberation movement of Kashmir. Hurriyat constitution adopted on 31 July 1993, is based on a struggle in accordance with UN Resolutions. Certain observers from liberation movements receive payments out of UN funds for their participation in the work of the General Assembly. Prime Minister of Pakistan should not listen to those who make him believe that he would be wasting his time at the UN GA session. There is a need to understand how Government of India has handled its narrative on Kashmir and how skilled India has been in keeping the continuity of its narrative. India has skilfully punctuated its Kashmir narrative and has used the right phrase at the right time. On 8 February 1957 at the 767th meeting of the UN Security Council Indian representative said, “you will find a statement by the Government of India: that the one condition that is necessary for the settlement of this problem, or even for negotiation, is an improved atmosphere. It is impossible to negotiate effectively, to come to an agreement in the context of a campaign of war propaganda that goes on against us and a programme of religious hatred.” We find that after 61 years in 2018, Government of India is repeating the same narrative. In fact she has upgraded and perfected her narrative by stating that “terrorism and dialogue” can’t go together. Austerity does not mean that we should wear the shoes for six months and walk bare-footed for another six months. We live in a competitive world and have to compete on all fronts. Work at United Nations in New York, Geneva and Vienna should not suffer due to austerity. These places need quality representation and huge resources. Killing the golden hen to economise on chicken feed does not mean austerity. We should be using the Kashmir Committee budget and raising other complementary budget support from Azad Kashmir towards Kashmir case. Kashmir Committee budgets in the last 10 years does not seem to have been used properly. Prime Minister of Pakistan has a strong international constituency and to advise him to stay at home, while leaders of 193 countries, shall be asserting their equality and demanding equity, in New York is a bad advice. There is enough time. As an immediate and interim step, Foreign Office, Government of Azad Kashmir, Hurriyat (Political and armed segments), well-meaning schools of opinion in Pakistan and Azad Kashmir, knowledgeable journalists of Kashmiri origin in Pakistani media and think tanks, should hold a preparatory conference and give the Prime Minister a strong input on Kashmir. Our Prime Minister should add a sentence to his paragraph on Kashmir and ask USA what happened to August 1951 paper prepared by Office of South Asian Affairs and Office of United Nations Political and Security Affairs of United States for taking Kashmir to ICJ. He should remind USA and the General Assembly that if we had appointed the President of International Red Cross a Swiss national and not the American citizen Admiral Nimitz as Plebiscite Administrator, we would have been through a UN supervised referendum in Kashmir in 1949. We paid a price for agreeing to an over indulgence of America in Kashmir. UN General Assembly is the right place and this is the right time for this right phrase.